Guthrie Public Schools and Foundation Insurance teamed up for the second year to find the school district’s student of the month. During the November board meeting, Teresa Avila was recognized for her efforts in the classroom. 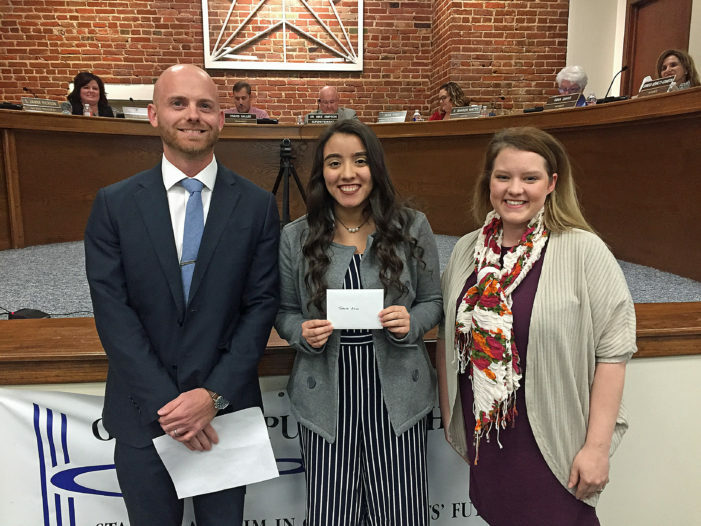 Avila, a senior at Guthrie High School, was nominated for Student of the Month her teacher Jessica Maker, who teaches Family and Consumer Science. Blake Wimsey from Foundation Insurance presented Teresa with a $60 gift card to Stacy’s Place.